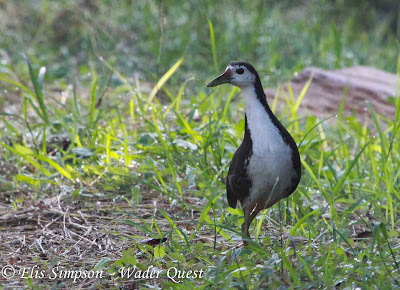 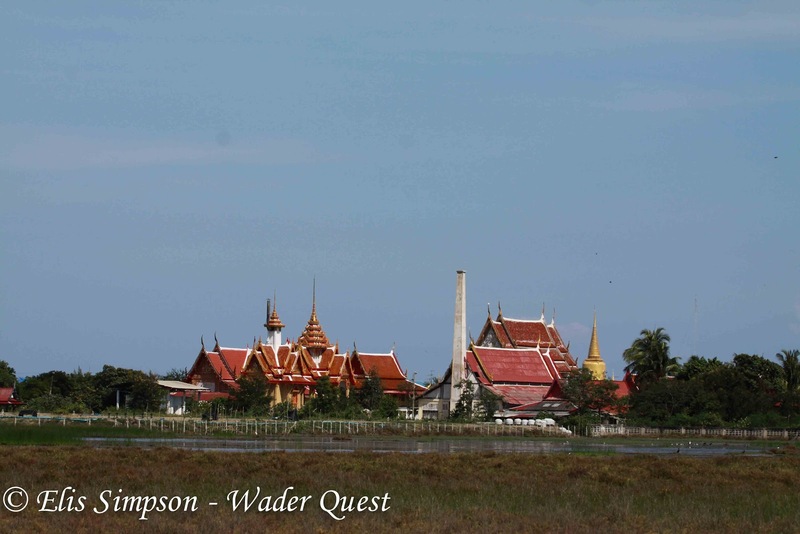 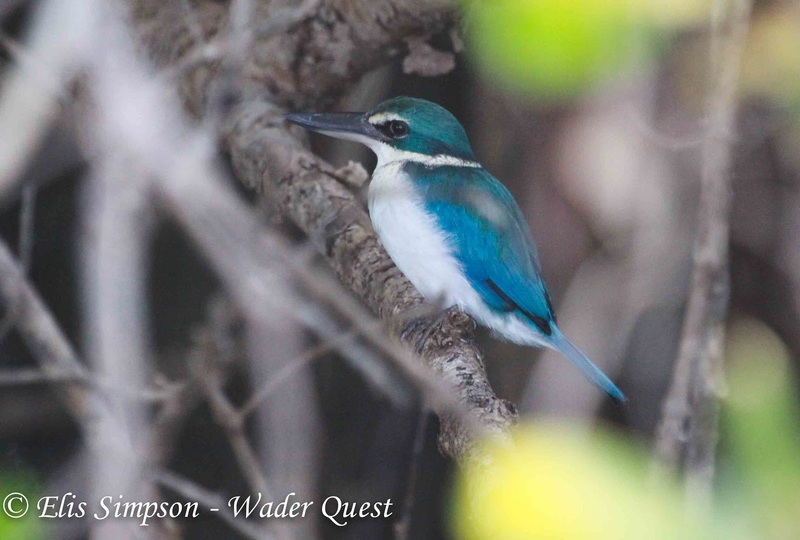 This week I have been in Thailand pursuing waders for Wader Quest. 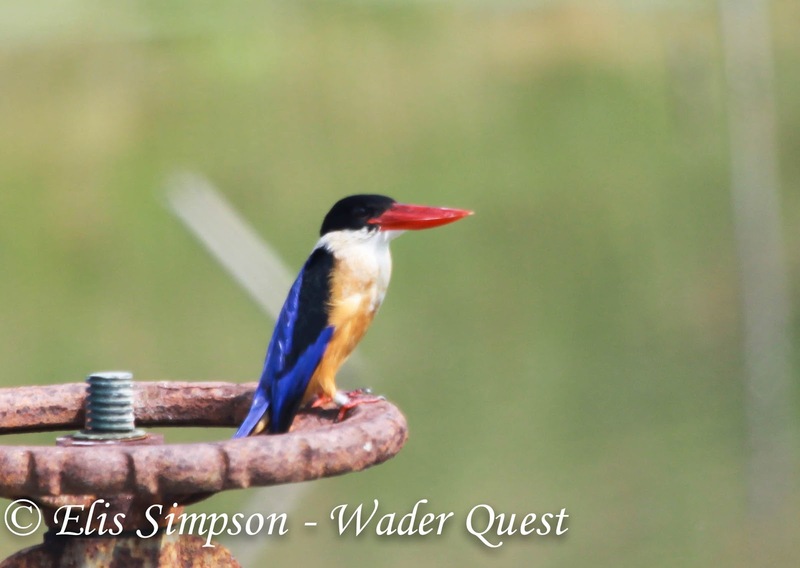 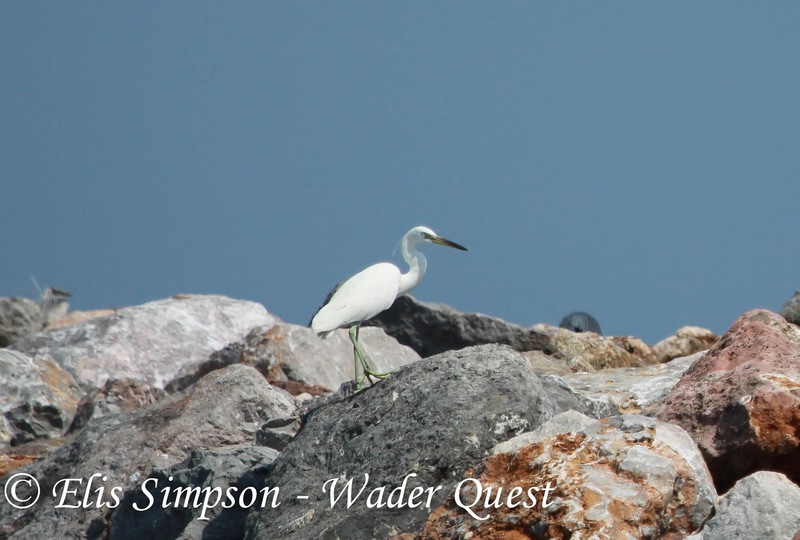 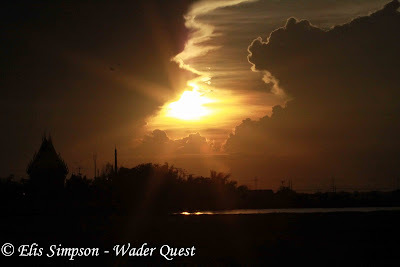 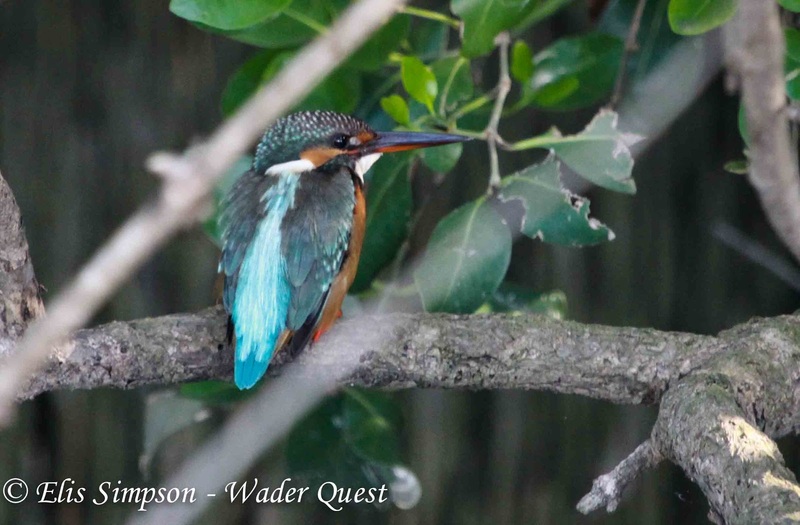 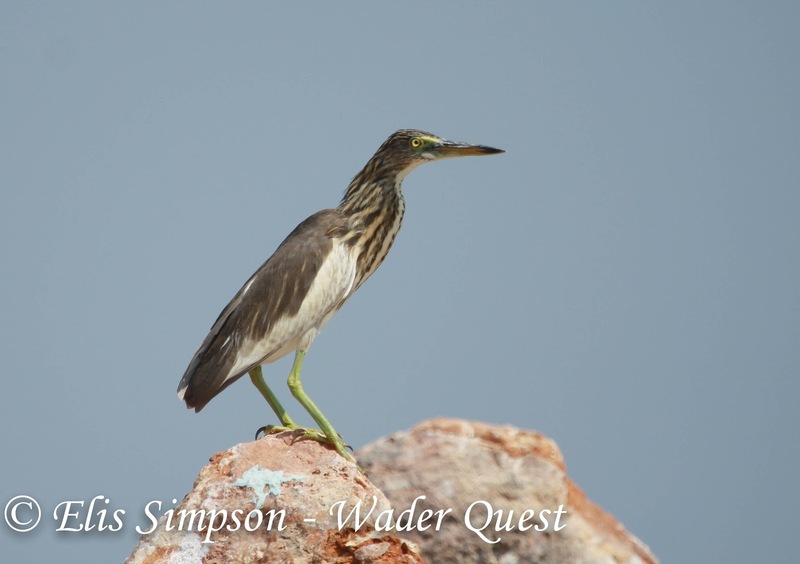 For information about this follow the Wader Quest blog by clicking on Wader Quest on the page bar above. Of course there is much more to Thailand than waders, however exciting they may be. However, as we are spending most of our time in wetland habitats there is a limit to what birds we can find. In this blog I have included a selection of water birds that Elis has photographed. 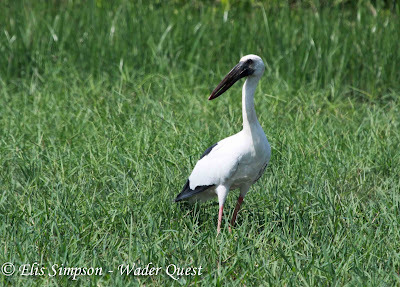 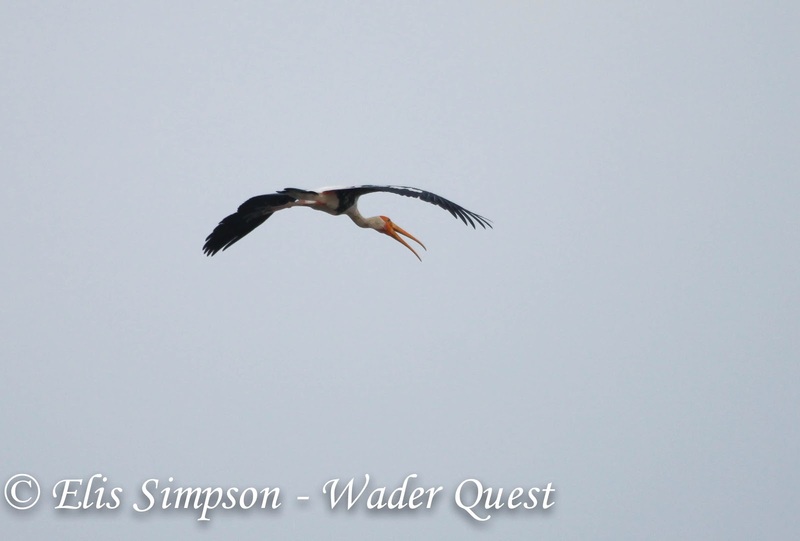 The two common species of stork are Asian Open-billed and Painted, but we were also lucky to see a rare bird for the region albeit at long range, a Milky Stork. Milky Stork (and Little Cormorant). We saw four species of Kingfisher, Black-capped is a tremendous looking bird as is the White-throated, more subtle but no less pleasing is the Collared. 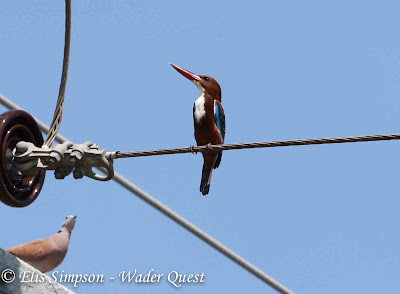 A familiar bird for us, but much easier to seen that in the UK was River Kingfisher. 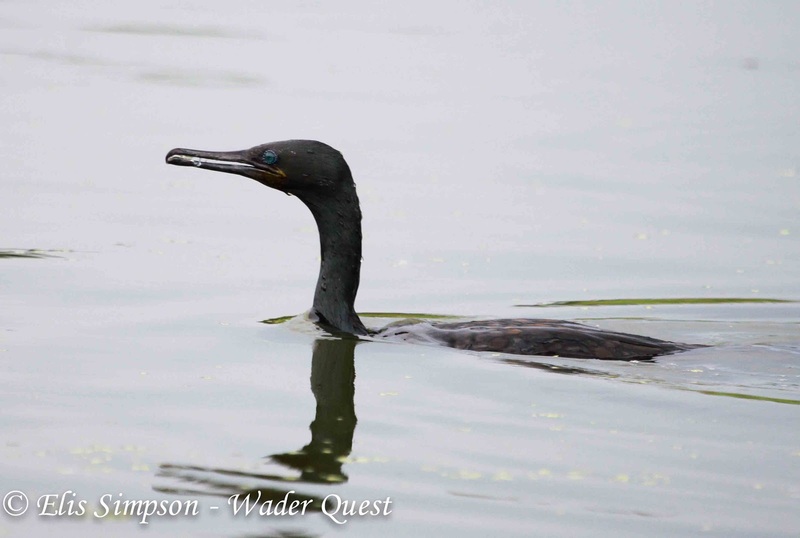 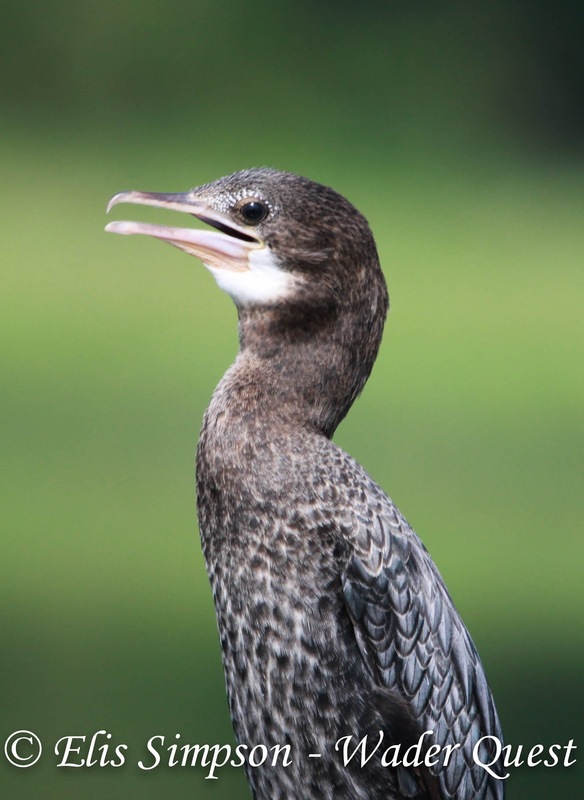 Most water bodies would have cormorants, Little Cormorant is abundant, but we did see one or two Indian Cormorants. 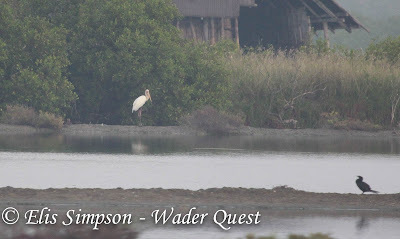 Naturally Herons and Egrets were much in evidence, Great, Intermediate and Little were everywhere, some Cattle were seen around livestock and a Pacific Reef Egret along the coast where we also saw the extremely rare Chinese Egret. Grey Heron and Purple Heron were seen as was Black-crowned Night-Heron and of course there were the prolific pond herons. Along the coast they were probably Javan, and further inland probably Chinese, but in winter plumage they are had to tell apart. 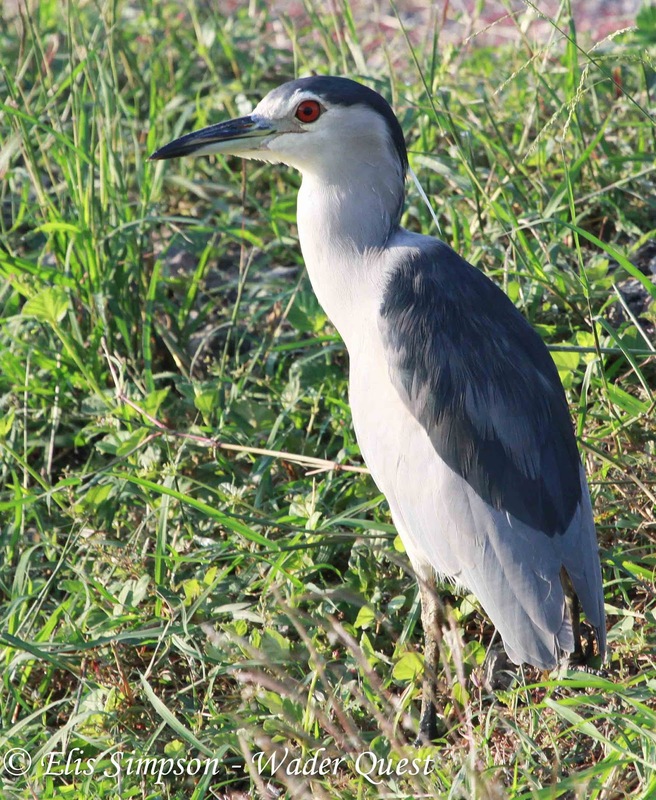 The last bird in this family was Striated Heron. Great, Intermediate and Little Egrets, plus a few pond herons, probably Chinese. 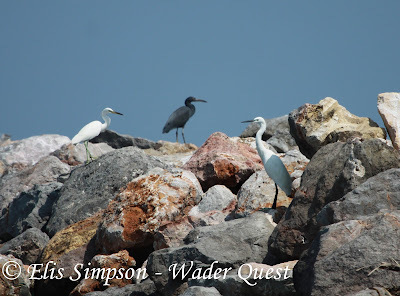 Chinese Egret, Pacific Reef Egret and Little Egret. Pond-Heron; probably Javan being on rocks off the beach. 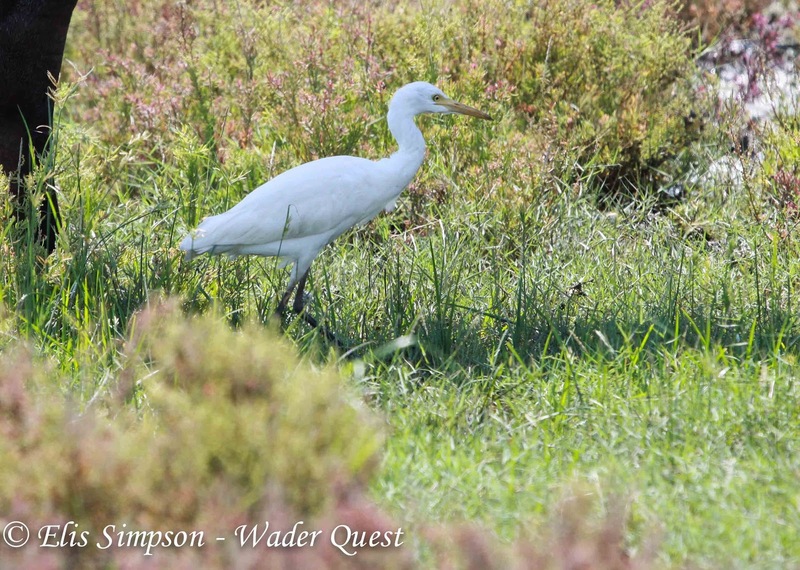 A full report on the birds we saw will be placed on the Our Trips page when we get back and manage to complete it, what with all the Wader Quest stuff going on time is in short supply! 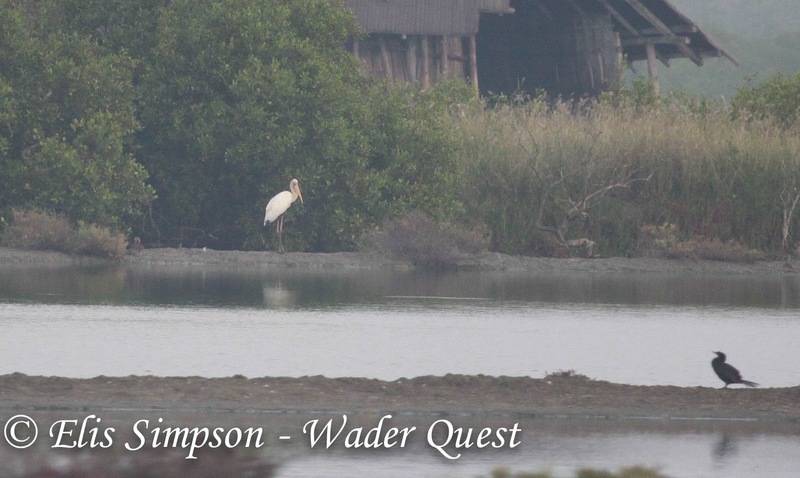 Taking a break from the waders. Other animals and Thai life.